As the Halloween holiday keeps growing, the events increase day by day. Halloween festivities include Halloween Parties, Halloween work events, costume contests, Zombie Walks, Halloween parades, themed birthday parties and the original exciting evening of trick or treating. Year by year, the events grow and people have more of a need for costumes, masks and make up even for simple themed birthday parties for kids or 1920’s ballroom events for adults full of 20’s gangsters and sequin dressed flappers. To make sure everyone wears the costume they need, Halloween Store Locations have been increasing to try to accommodate all the shoppers and be close enough to our customers so it’s a quick convenient purchase. Halloween Store locations are all over and you can find most of the stores on either main streets with a lot of driving traffic or in big shopping centers with large anchor tenants like Ross, Tj Maxx, Michaels, Ralphs and Nordstrom Rack. Large shopping centers allow for our customers to easily find parking since the parking lots tend to be huge to accommodate all the big stores. Nothing is worse than having to wait forever to find a parking spot before you start your costume search. 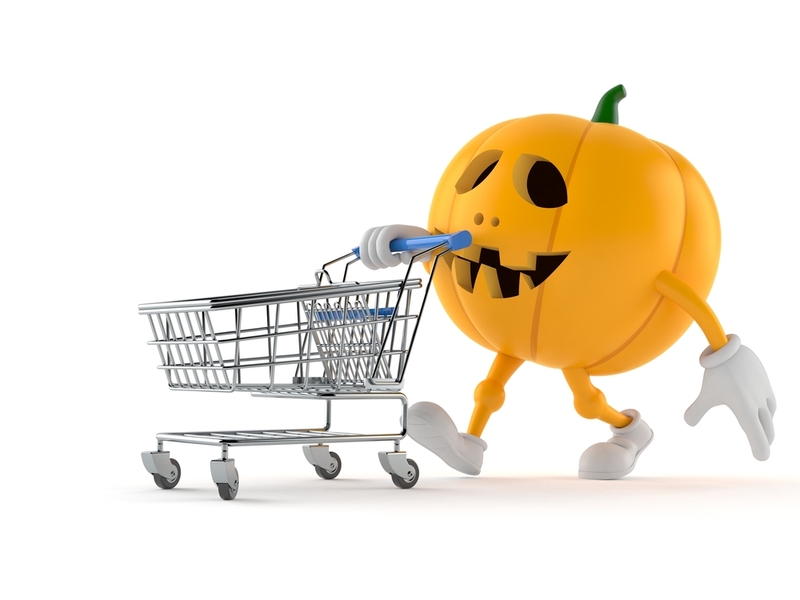 You can also find Halloween Store locations in busy dense shopping areas where there is a lot of foot traffic. For example, in Glendale, Brand Blvd is a busy street with a lot of pedestrian foot traffic and also the Glendale Fashion Center is a huge shopping center where you can find the Glendale Halloween Store Location. In other cities, you can find Halloween Store Locations in shopping centers off the freeway also. The goal is for the Halloween Store Locations to be close to where most people live to make it a quick and simple experience for them and not a far drive. However, some of our stores like the Glendale Halloween flagship store, are so big and have such an amazing variety that people drive up to an hour from all over to come and get their favorite costumes last minute. Glendale Halloween tries to keep every costume in stock, especially the most popular costumes until the last day of Halloween so no customer is left without their first option. We want you to dress in the costume you prefer, have all the accessories you need to make your costume full, and any hats or Halloween make up to make you the perfect Ghost or Goblin. Halloween parades and Zombie Walks are also growing at an exceptional pace so having a comfortable costume is important to be able to walk for long hours even if you are trick or treating. Costume contests amongst workplaces and even at some Hollywood clubs are becoming very famous with big prizes, causing people to go all out on their Halloween costumes. Stop by Glendale Halloween for all your costume needs, we are the Halloween store near Burbank, Pasadena, and Hollywood. Let’s have a great 2019 Halloween season together!